I have not used it for a long time, but it seems not to be inferior to other companies' products. This review is about item#47307154. The bottom neck size was too short for the opponent's coupling. Air leaks. I would like more prepared items (dimensions) to select. This review is about item#47307145. I am saved all the time, it is cheap and you can make things that are solid, how wonderful it is. I wish for the future to make good goods inexpensively. This review is about item#47307136. 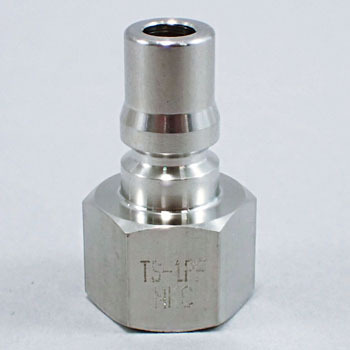 Since connection with other manufacturer's coupler is also possible, there is nothing wrong. Products that are 1/8 inch in size have only seen the product position of the Osaka soul brand product (manufactured by Yoshida Works), but thankfully because they can be purchased at an affordable price.